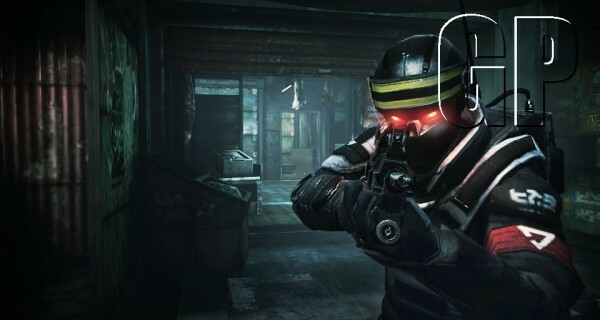 ‘Killzone Mercenary’ is promising some brutal looking gunplay that fits in your pocket, and if words don’t prove that, the trailer sure will. If you thought the battle lines were clear, you’ve not seen the whole story. Developed by Guerilla Games Cambridge, a wholly owned subsidiary of Sony Computer Entertainment Europe, Killzone: Mercenary for PlayStation®Vita—a new first-person shooter in the acclaimed Killzone series—throws players into a deadly firefight as part of a ruthless Mercenary faction, one taking on paid contracts from not only the dangerous ISA but the vicious Helghast as well. As the first handheld entry in the series to retain the console titles’ first-person shooter gameplay, Mercenary promises to combine an epic single-player campaign with a substantial multiplayer offering. In Killzone: Mercenary, there is no good. There is no evil. There is only the mission… And the money. Spanning key events of the Killzone trilogy, Killzone: Mercenary explores themes of greed, revenge and conscience against the epic canvas of full-scale military invasion. It’s the story of a young boy torn between two factions desperate for victory at any cost. Arran Danner, veteran UCA soldier now a mercenary-for-hire, helps deliver a crucial blow to the Helghast in the liberation of Vekta and is hired once again to spearhead the ISA counter-attack against Helghan. But a seemingly routine mission to evacuate the Vektan Ambassador and his family from Pyrrhus leaves Danner in the middle of a deadly power struggle for the life of the Ambassador’s young son. As the invasion unfolds, it becomes clear that the boy’s fate could change the course of the war and both sides will do whatever it takes to get hold of him, forcing Danner to question whether the price of victory can sometimes be too high, no matter how big the pay check. A console-style Killzone campaign in a portable package: Comprised of 9 single-player missions—each nearly an hour in length and playable on one of three difficulty settings—Killzone: Mercenary delivers on the power and promise of PS Vita as the optimal handheld platform for first-person shooters. Breathtaking technical and visual showcase: Built on the same impressive engine technology as Killzone 3 for PlayStation®3, Mercenary conveys the series’ instantly recognizable, dark futuristic visual style using an assortment of stunning effects. Full-fledged Multiplayer Suite: Designed to provide a fast-paced experience across a wealth of compelling modes— Mercenary Warfare, Guerilla Warfare, and Warzone—Mercenary delivers a substantial multiplayer package. Enhanced Player Customization: Cash earned during the single-player campaign or ranked online matches can be spent on new guns and equipment which are available for use in all modes. These hard-earned advantages incentivize play and allow for a wide range of load-out customization.